The board represents Funeral Directors and Embalmers in Nova Scotia as we strive to to have the Funeral Profession viewed as a valued profession. The funeral profession is not unlike any other profession; as licensed Funeral Directors and Embalmers, we are all governed by a "Code of Professional Conduct". There are also Federal and Provincial Legislation to which we must adhere. In Canada, the regulatory control of funeral homes and licensed professionals comes under jurisdication of the Provincial Government. In this Province the funeral profession is regulated under Legislation entitled "The Embalmers and Funeral Directors Act Chapter 144 of the Revised Statutes, 1989". The responsibility for ensuring the provisions of this Act are followed rests with Service Nova Scotia and its Minister. However, the actual adminstration of the Act is undertaken by a duly constituted Board of Registration of Embalmers and Funeral Directors. This Board consists of the Registrar and five other people, three of whom are licensed embalmers, appointed by the Governor in Council, and two of who are elected by the Funeral Service Association of Nova Scotia, of which one is a Consumer Advocate. In accordance with the Act and with the approval of the Minster, the Board, from time to time, makes or amends Regulations or Subordinate Legislation associated with the Act. The current Regulations including amendments, are known as "Embalmers and Funeral Directors Regulations", made under Section 33 of the Embalmers and Funeral Directors Act R.S.N.S. 1989, c. 144. It is the Regulations which stipulate in more detail the specific requirements of the Act, such as, educational qualifications, licensing practices, and the minimum requirements of facilities and equipment permitted. 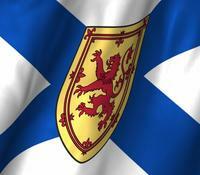 As mentioned, the Board's primary function is to administer the Act on behalf of the Minister of Service Nova Scotia. This includes matters relating to the licensing of Funeral Directors and Embalmers, coordinating funeral service education and continuing education programs, and addressing any violations of the Act for the Province. Let's consider the last point pertaining to violations of the Act in greater detail. The Board has the authority to define what constitutes incompetence and misconduct of Embalmers and Funeral Directors. They have established procedures to deal with complaints from fellow practitioners. But, more importantly the Board has an obligation to the public. It is also part of their mandate to hear and, if deemed warranted, take action concerning complaints from consumers or family members. These complaints may be associated with the practices or conduct of either a funeral home and/or its licensed staff. For further information as to how to make a complaint go to Complaint Process on this site.